Saudi Arabia-backed forces loyal to the internationally recognized government of president Abdu Rabu Mansour Hadi of Yemen are claiming a major victory on Friday, having regained control of the strategic Bab el-Mandeb strait that partially controls international shipping access to the Red Sea and the Suez Canal. The narrow waterway, which separates Yemen from Djibouti only some 32km away, funnels shipping to and from the Suez Canal, which lies at the north end of the Red Sea. The strait was recaptured from the Iran-backed Houthi militias, who seized the capital city Sanaa in September of last year, forcing president Hadi to flee. 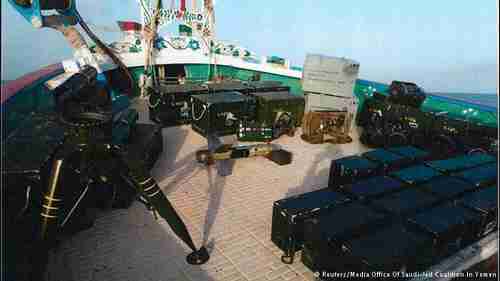 The Houthi militias then swept south, seizing territory as far as the port of Aden on the southern coast. Hadi fled first to Aden and then to Saudi Arabia last Spring, where he ran a government in exile. Hadi was able to return to Aden last month, after loyalist forces regained control of Aden. The forces have been moving north and have now recaptured the port at Bab el-Mandeb, as preparation to attempt the recapture of Taiz, Yemen’s third largest city (after Sanaa and Aden). Even before the war, Yemen was one of the poorest countries in the world. When the Saudi Arabia-led coalition started bombing Houthi targets on March 26, destroying infrastructure, the humanitarian problems have become extremely severe. However, the situation in Yemen has been battling for headlines with Syria, so there’s little attention being paid. 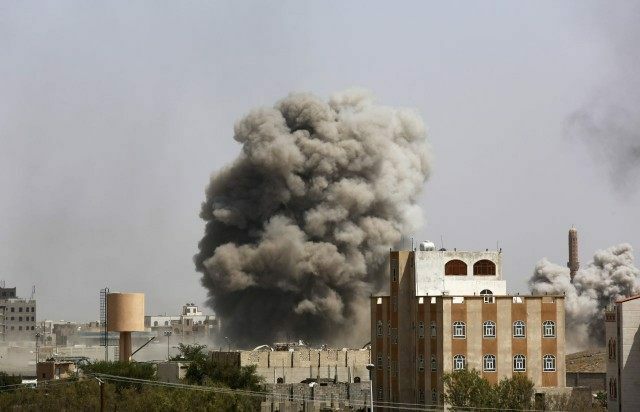 Even so, a massive explosion at a wedding party on Monday, apparently from a Saudi coalition air strike, has substantially increased the international pressure on Saudi Arabia to stop the air strikes. The targeted area was adjacent to the Bab al-Mandeb strait, and the death toll from the two missiles that struck the wedding was 151, including many women and children. United Nations Secretary-General Ban Ki-moon expressed the usual outrage. He condemned the high death toll at the wedding event and warned that any intentional attack on civilians violates international law and must be investigated. The Saudi coalition is denying any responsibility for the attack, although the denial is not generally believed.